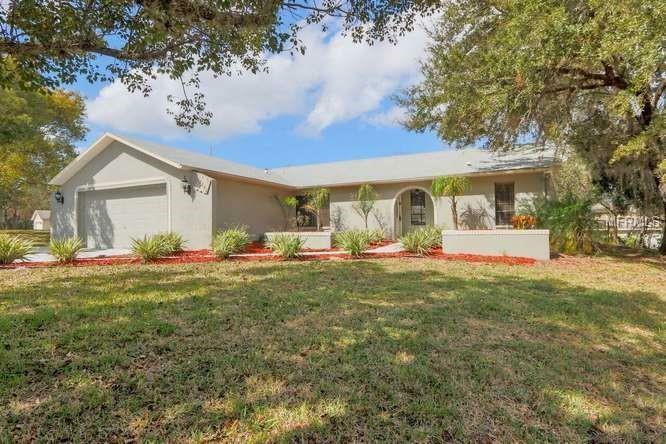 Fully remodeled and updated 3 bedroom, 2 bath, 2 car garage home with a gorgeous screened in pool with lanai! 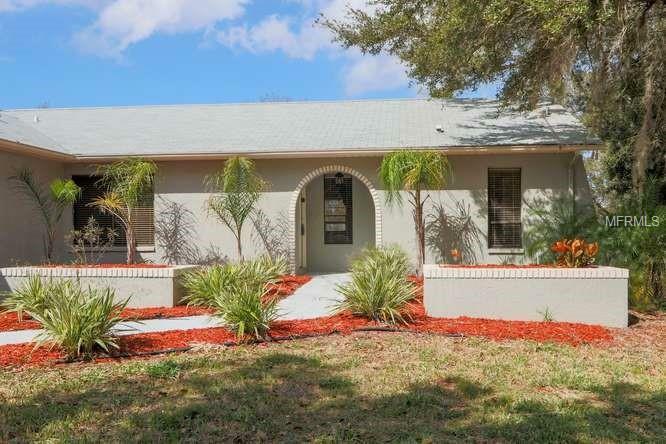 Large corner lot with great curb appeal and well manicured landscaping. This home has high ceilings making it feel very expansive. As you enter the home it opens to a family room that overlooks the enclosed pool area making for a wonderful layout for indoor and outdoor entertaining. There is a spacious open floor plan with the kitchen, dining, and living room areas having beautiful tile and laminate flooring throughout. The kitchen has granite countertops with an adorable eat-in kitchen nook too! 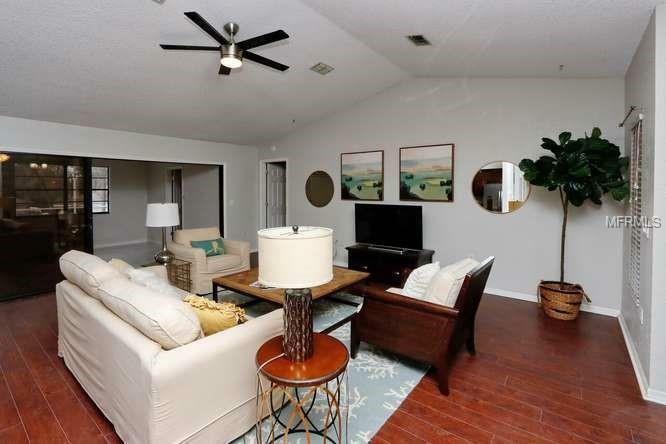 There is good size bonus room that can be used as a family room or rec room. The master suite with en suite master bath has a nice size walk in closet. Both bathrooms have been updated nicely. The master bath has a double vanity with granite counter top. 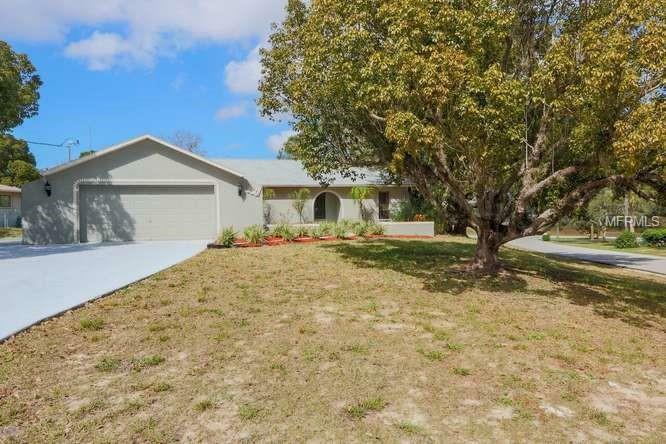 This home has a split floor plan with the other 2 bedrooms on the other side of the home. There is an indoor laundry room that leads to a 2 car garage. This home has plenty of space to enjoy! It is also well located in a peaceful neighborhood. Listing provided courtesy of Source Real Estate.